Need a house with a bigger yard? The above video was filled before my dog got diagnosed with diabetes and before I really learned how to hold my cell phone when shooting videos. Jax, my dog is still very much spoiled but now that he is much older doesn’t really like to run around as much any more, especially since he is blind and deaf. I don’t remember what he did to earn a time out, but he is too cute. I recorded the video and uploaded it to my YouTube Channel This video simply fits perfectly to my blog post that’s why I wanted to share it and also my dog is simply too cute not to share. If you are looking for a home with a bigger yard for your dog or for your growing family, it would be my pleasure to help you find that perfect home. 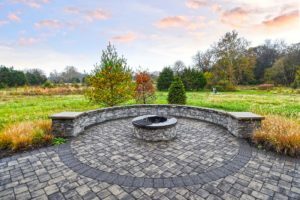 There are plenty of great homes with a large yard space. Call me to find out how you can purchase a home with a big or bigger yard. If big yards are not your thing I would be happy to help you find a home with a low maintenance yard.